"West Brom to win and Both Teams To Score is a generous 5/2– it’s proven profitable in nine of their 10 triumphs, and four of Brentford’s last five defeats"
West Brom have returned from the international break with back-to-back away Championship victories to move to within two points adrift of the automatic promotion places. The Baggies overcame Ipswich 2-1 before seeing off Swansea on Tuesday night to make it three consecutive league wins. Albion's high defensive line was carved open by the Swans, who eventually made their first-half pressure tell. But Darren Moore's men responded immediately and sealed top honours thanks to two headed goals from corners as centre-backs Craig Dawson and Ahmed Hegazi were the unlikely match winners. Harvey Barnes, who had a quiet evening by his high standards, hit a post in the latter stages as West Brom saw out the remainder of the game without conceding any clear-cut opportunities. Moore fielded an unchanged XI at the Liberty Stadium meaning Dwight Gayle again started on the bench. Brentford's dismal run of results - winning just once in 11 (W1-D4-L7) - continued on Tuesday night as the Bees fell to a 3-2 home defeat to Sheffield United. Thomas Frank's team led through Neal Maupay and later levelled via an own goal before conceding a decisive third midway through the second half. Alan Judge had two late free-kicks saved as the Bees battled in vain to salvage something but defeat was Brentford's fourth in seven since Dean Smith left to become Aston Villa manager. The early high-flyers have slid down to 18th in the Championship standings ahead of Monday's tough trip to the Black Country. Supporters booed the side off in midweek and Frank reckons his team need to show better game management to halt their horrid form. The Bees boss reaffirmed his commitment to their tried-and-trusted approach and will be hoping Kamohelo Mokotjo returns to the fold promptly after another display lacking bite and physicality in midfield. Not since 1992 have the two teams met in league football and you have to go way back to 1948 for the last time Brentford won away at West Brom. The Baggies have been chalked up as [1.97] favourites to enhance that record with a fourth consecutive league victory for the first time since 2012 on Monday evening. Albion have picked up maximum points in six of their nine outings (W6-D1-L2) at The Hawthorns, registering at least four goals on four separate occasions. The hosts are the division's top marksmen and since 2004/05, only two teams have scored more goals than West Brom's tally of 41 from their first 19 games. Brentford [3.80] have won once in 11 (W1-D4-L7), although six of those defeats arrived by a solitary strike, suggesting the Bees aren't far away from finding their range. However, the Londoners have consistently struggled away - W0-D4-L5 this season - and returned W4-D8-L16 at top-half teams since the start of 2016/17. Over 2.5 Goals is trading at [1.69] on Monday night with Both Teams To Score chalked up at an unbackable price. The pair have combined to deliver 15/18 (83% BTTS winners in their collective home/away encounters with 11/18 (61%) seeing the Over 2.5 Goals barrier breached. West Brom and Brentford have registered only four clean sheets between them this term, although in 21/38 (55%) of their respective matches the duo have scored at least twice. Going back to focus on their home and away contests, the average goals per-game figure stands out at a whopping 3.72. With Albion in a more composed space following their switch to a four-man defence, I'm happy to back the Baggies in a match featuring both sides scoring. 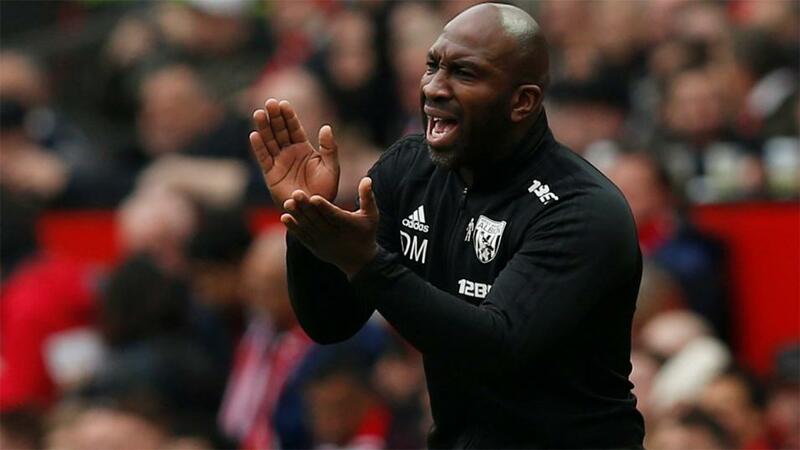 West Brom to win and Both Teams To Score is a generous 5/2 - it's proven profitable in nine of their 10 triumphs, and four of Brentford's last five defeats.